Boaters in cooler climes live for it — the day they can finally put their shrink-wrapped boat in the water. 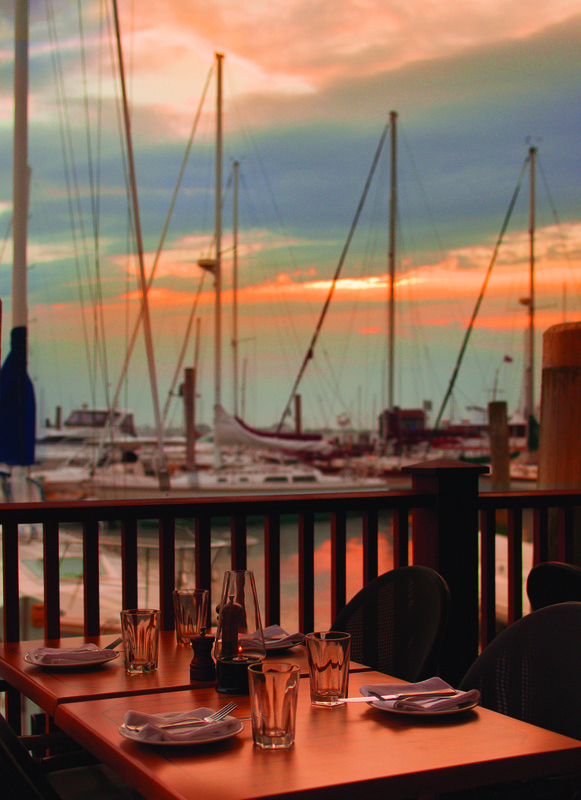 Here’s to the good life — summer days of boating to restaurants where you can dock and dine after a day on the water. We’ve got seven dock and dine restaurants in New England that offer transient dockage (but call ahead to the dock master to be sure). Cheers to summer at sea. Located in the elegant but unpretentious Wentworth by the Sea hotel here, SALT is a sought-out seafood spot, thanks to its handsome dining room. Dock your vessel (at the independently owned and operated dock located on property), and try the freshest of fish like the Hook and Line Caught Haddock (toasted ciabatta breadcrumbs, capers, tomato basil confit, lemon parsley butter ,and fingerling potatoes). Make a reservation at SALT Kitchen & Bar. 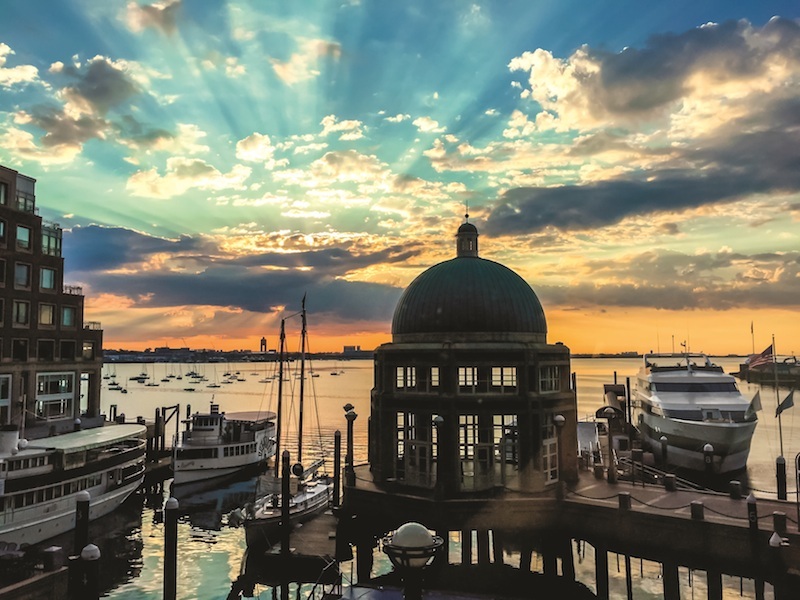 You can pull in to one of the 38 slips at The Marina at Rowes Wharf and celebrate summer by ordering the showstopper Roasted Two and a Quarter Pound Lobster (served with sweet corn pudding and saffron lemon butter) at this dockside restaurant in the five-star Boston Harbor Hotel. 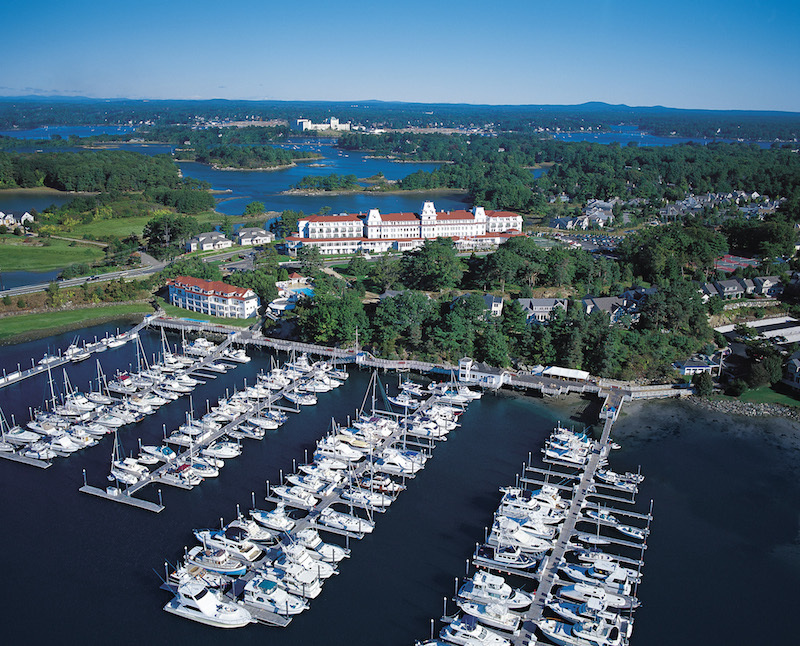 Tip: Dine and show your receipt — you can stay at the Marina for up to four hours. Note: Be sure to call ahead for docking space. Make a reservation at Rowes Wharf Sea Grille. Keep it local and dig into Narragansett Steamed Mussels — caramelized leek, sherry garlic butter, potato sticks, and smoked tomato aioli, to be sipped with a seasonal cocktail like Wading on the Wharf (grapefruit vodka, elderflower, jalapeno, citrus soda). Dock at Bowens Wharf. Make a reservation at 22 Bowens Wine Bar and Grille. Dock your boat in Mexico — kidding, but if you moor up at Liberty Wharf, this Mexican-inspired restaurant has direct dock and dine access — just walk up the gangway. Take a seat on the waterside patio and order one of the fresh fish specialties like the Swordfish Salguero (fresh grilled swordfish steak, lobster, spinach, mushroom, tomatoes, saffron cream sauce, and Mexican rice). And, of course, don’t miss the guac. Make a reservation at Temazcal. 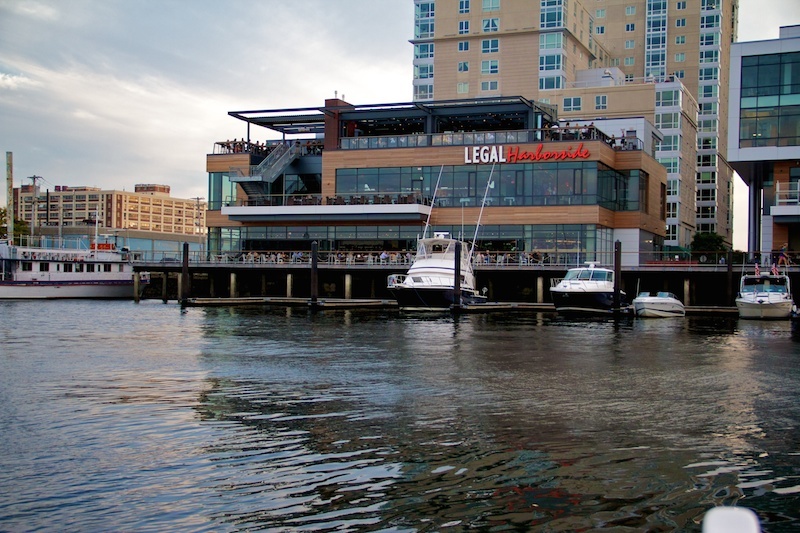 Dock at the wharf and freestyle over to Legal Seafood’s flagship restaurant for the butter-dripping Lobster Bake (chowder, steamers, mussels, chouriço, and corn). You’ll beg summer to never break up with you. 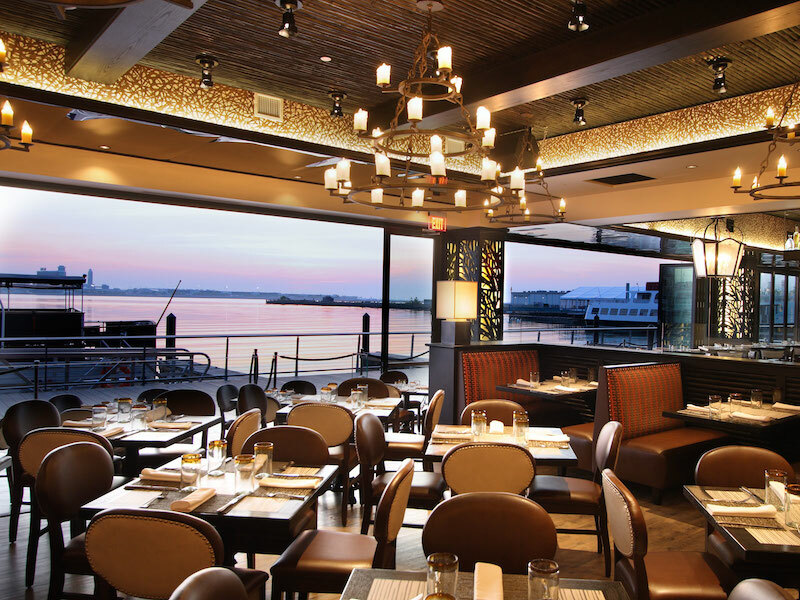 Make a reservation at Legal Harborside. 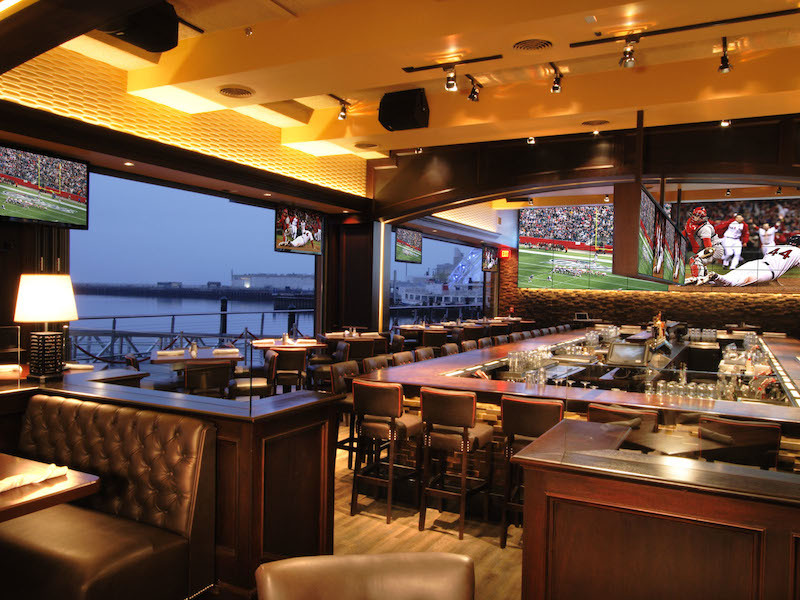 Dock it and catch a Red Sox game and burger and brew at sports-loving Jery Remy’s, a home run hit from Liberty Wharf. Cheer on the Red Sox with the Bases Loaded Burger (Vermont cheddar, crispy pork belly, fried egg, and smoky hoisin sauce on sesame brioche). Or, go nautical and order a house specialty — the beer-battered Fish and Chips. Make a reservation at Jery Remy’s Sports Bar and Grill. The Mooring’s 600-plus label wine list is a perfect pairing for the waterfront views of Narragansett Harbor and for the Grand Shellfish Platter (shrimp, littlenecks, oysters, whole chilled lobster, and fresh Maine crab). Docking is available at Sayer’s Wharf. Make a reservation at The Mooring. 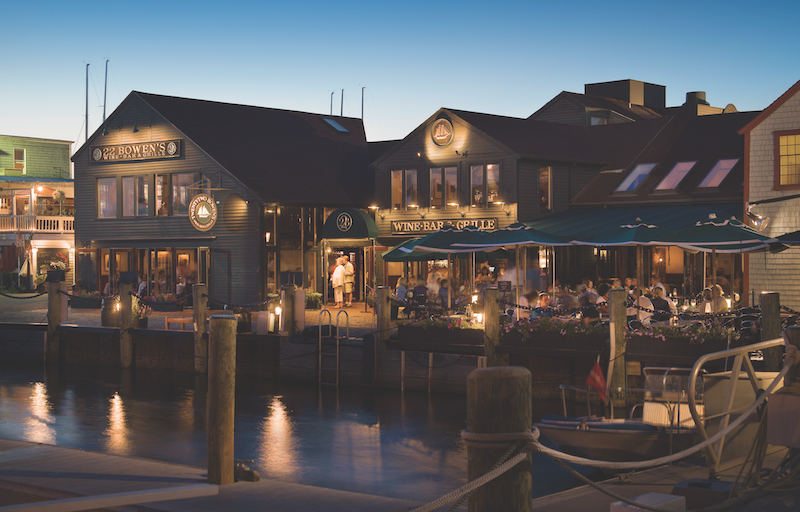 What are your favorite dock and dine restaurants in New England? Let us know here or over on Facebook, G+, Instagram, Pinterest, or Twitter. Photo credits: Newport Restaurant Group (22 Bowen and The Mooring).